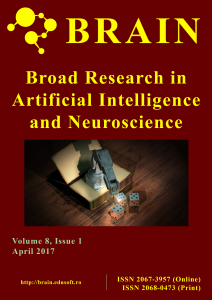 All papers will be published in BRAIN – Broad Research in Artificial Intelligence and Neuroscience. 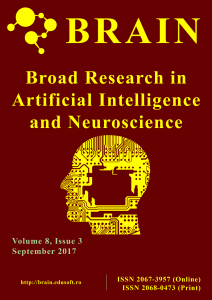 The aim of BRAIN journal is to create links between researchers from apparently different scientific fields, such as Computer Science and Neurology. 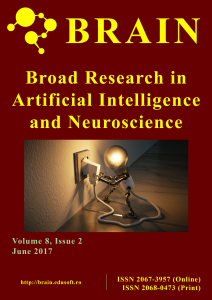 In fact, there are a lot of topics such as Artificial Intelligence, Cognitive Sciences and Neurosciences that can intersect in the study of the brain and its intelligent functions. 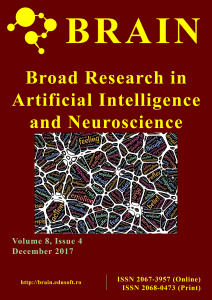 This journal contains double-blind peer-reviewed articles and it is indexed by important international indexing services, like Web of Science, EBSCO and DOAJ. Authors MUST submit their papers by email to smart2018@edusoft.ro. Submitted papers must be Microsoft Word documents, in English. Preferred maximum paper length for the papers is 20 pages, including figures.